In face of an expected 50 million kg (mkg) shortfall of tea, the producing companies are looking at a good opening in this year’s tea auctions when, after a 3-month hiatus, the first flush of tea starts to hit the auction centres early March. According to the Indian Tea Association (ITA), the apex body for north Indian tea, production was down by 13 mkg during January-October last year and it is expected that the month of November-December will also register another 12 mkg dip in production owing to climatic changes in the tea-rich zones of Assam and northern West Bengal. Coupled with this, the Tea Board's crackdown on 'bad tea' (by not allowing plucking tea during winter) is also expected to result in another shortfall of 25-30 mkg. "These factors together will lead to an expected shortfall of 50-60 mkg when auction resumes," Vivek Goenka, chairman at the ITA said. Sources among the brokers said that the consumption this year is also expected to improve primarily led by long chilly winters, the General Election and the Ardh Kumbh Mela. “It is usually noticed that when there is a prolonged congregation like some fair or meetings or rallies, tea consumption increases; and this year, we have two big events to drive higher demand for tea – the 2019 Lok Sabha elections and the 55-day long Ardh Kumbh Mela," a leading broker said. 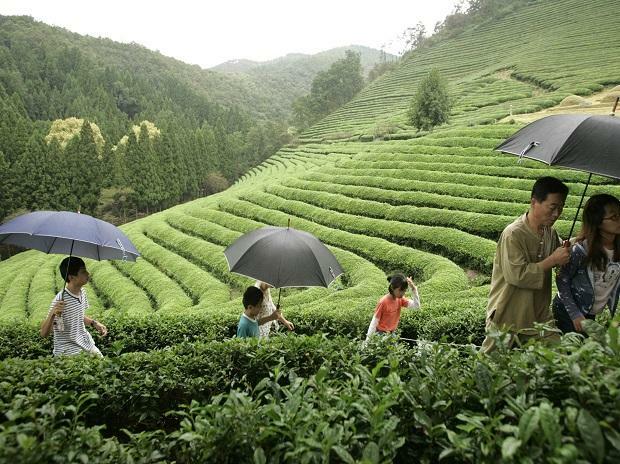 The auction houses expect prices to improve driven by higher consumption demand and lower availability of tea during the opening season in March this year. After close consultation with the industry, the Tea Board has mandated annual closure of gardens in Assam-Bengal-Cachar region so that no tea can be produced during the winter season and has also made it mandatory for the small growers to stop plucking leaves from the tea bushes during the winters. No estate factory or bought leaf factory (which often processes the harvest from small growers) can make any form of tea during the winter period. “This is not only going to improve the quality of tea when plucking resumes but will also help flush out bad tea from the market”, Atul Asthana, managing director and CEO at the Camellia Plc owned Goodricke Group said. Although the larger estates usually close down during winters, a small section of small tea growers from the Assam-Bengal belt continues to produce tea. Unlike south India, where tea production is perennial, north Indian gardens observe closure during the winters so that the bushes are rested. Not only this tea is of extremely inferior quality, but it also damages the tea bushes as well. Besides, as this substandard tea hits the auction centres when the much-awaited first flush tea appears, it dampens the prices also. “We cannot say by how much prices can improve, but this measure is expectedly bound to improve prices. After all, as bad tea goes out of the market, good tea can fetch its deserving price”, A. K. Ray, chairman at the Tea Board said. The Tea Board has threatened to take punitive steps under provisions of the Tea (Marketing) Control Order, 2003 against those who are caught harvesting or processing tea during the winters. The Board’s actions have already started reflecting on the auction prices. In Kolkata, the largest tea auction centre in the country, average prices towards the end of December last year is already up by nearly five per cent while lower grade tea prices are up by around 10-15 per cent in the Assam-Bengal belt. Better grade produce from the Halmari estate in Assam had fetched Rs. 342 a kilo and the average for good grade teas from this state had hovered around Rs 260 a kilo – an unusual price during December. During the first flush, around 120-130 mkg of tea is produced in north India.